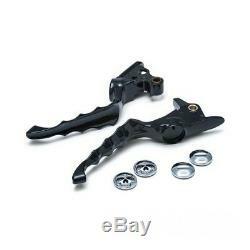 Pair of black levers zombie / skull. The term "harley-davidson" is a generic reference and drugster garage sarl is a different entity from harley-davidson co. The majority of the items we offer are in stock, however we may experience temporary breakages on some items due to the high demand for certain items. We are delivered daily and strive to deliver as quickly as possible.